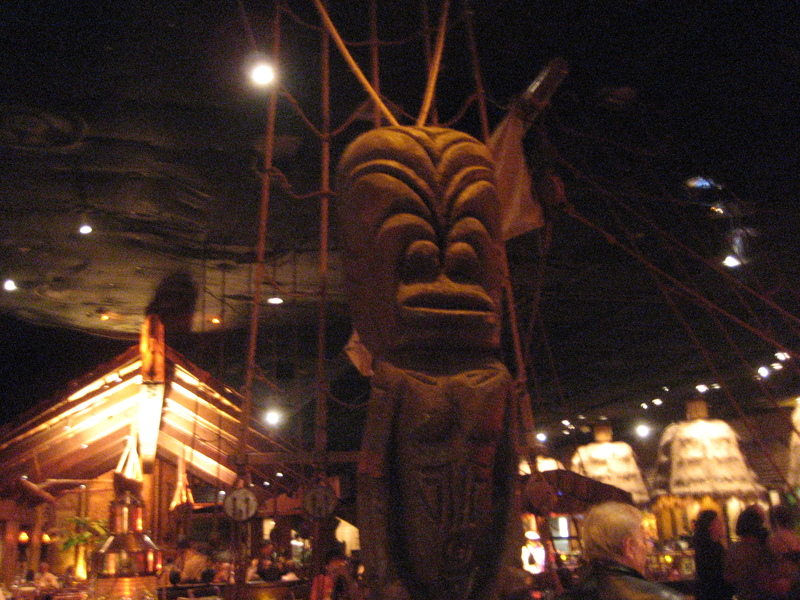 When we first started planning our trip to San Francisco, I knew that we had to hit up the Tonga Room (not to be confused with the Tonga Hut down in NoHo), since it’s considered to be high on the list of endangered tiki establishments. Unfortunately, the Fairmont folks have gotten the idea in their heads that they can make more money by turning the land where the Tonga Room is into condos. (Even more unfortunate is the fact that this is a familiar story. I’m looking at you, Beverly Hilton!) 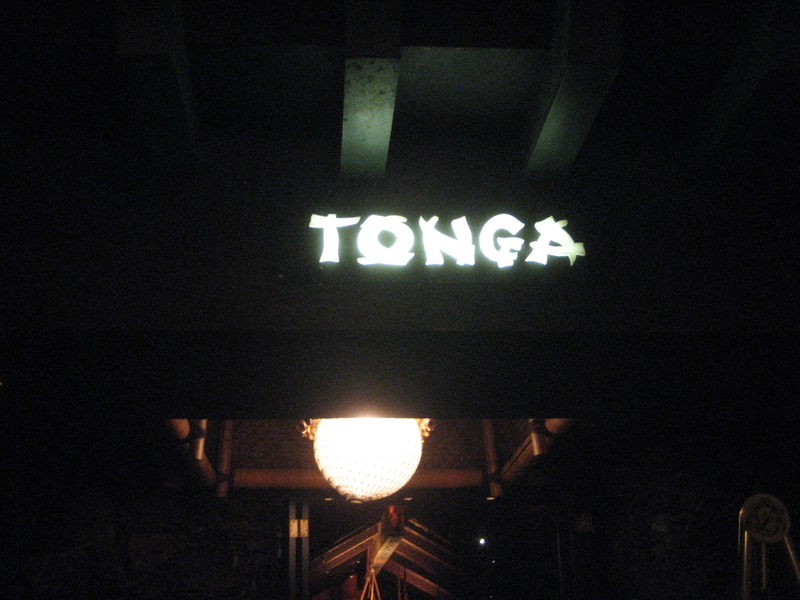 There’s an effort to Save the Tonga Room, but it’s going to be difficult to stop the developers. 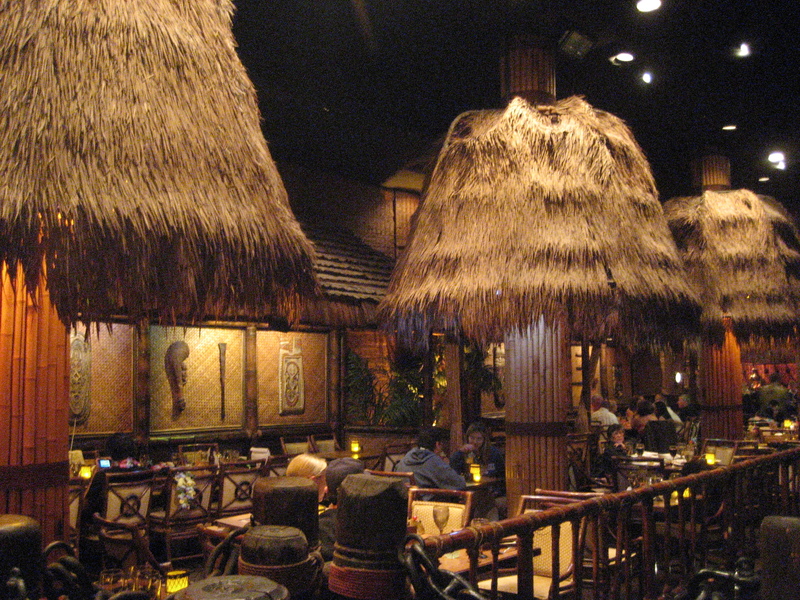 The Tonga Room feels more like an attraction at Disneyland than a restaurant: diners are seated in an enormous A-frame with outrigger canoes or beneath thatched huts with a simulated night sky above. Not to mention the “rain storm” that occurs every 20 minutes or so, with thunder sounds and lightning and water falling into the lagoon (yep, there is actually a pool inside the restaurant). The space started out in the 1920s as the swimming pool underneath the lobby of the Fairmont San Francisco, and then in 1945 it was transformed into this nautical-themed restaurant by Mel Melvin, a set designer for MGM. He kept the water feature relevant by ingeniously turning it into an aquatic arena for live music. And that’s still done to this day! 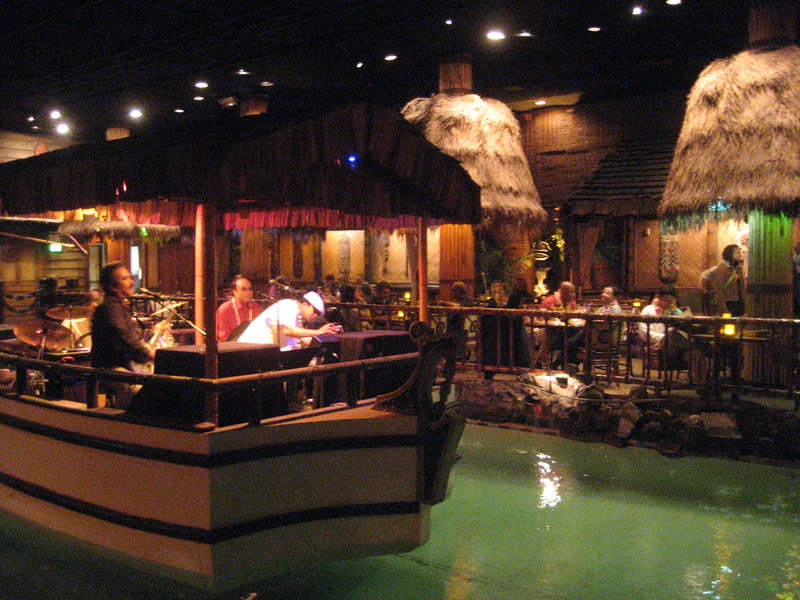 A cover band performs on a boat-slash-stage that they float out to the middle of the lagoon. As expected, their set was kind of cheesy, but their Jackson 5 renditions were quite the crowd-pleasers. 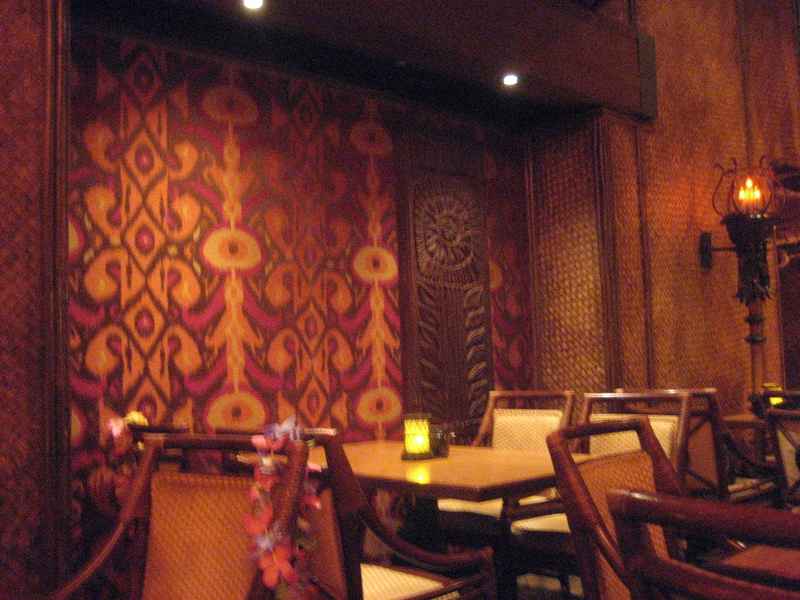 However, the Tonga Room wasn’t truly tiki-fied until it was remodeled in the ’60s with décor from Oceanic Arts (you might know them from another little project they were a part of…The Enchanted Tiki Room). Ever since the word got out about a year ago about the seemingly imminent closure, there seems to have been a resurgence of interest in the old gal. There was a $7 music cover charge on the Friday night we went, but the place was still packed, with most people crowded into the bar area. 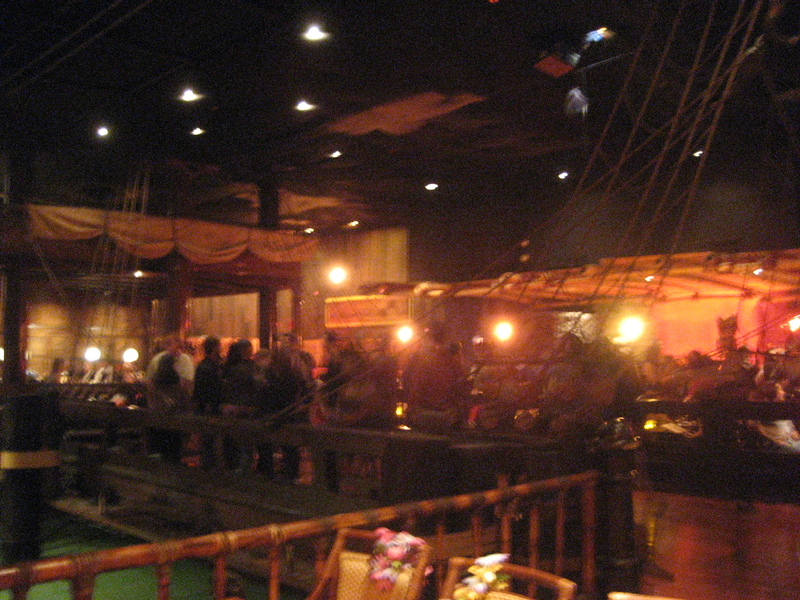 Not only was the dance floor built to look like the deck of a ship—complete with sails and netting, nautical lanterns and a tiki masthead—it was actually built from a ship. According to their history page, it’s made with parts from the S.S. Forester, an old schooner that made trips from San Francisco to the South Sea Islands. 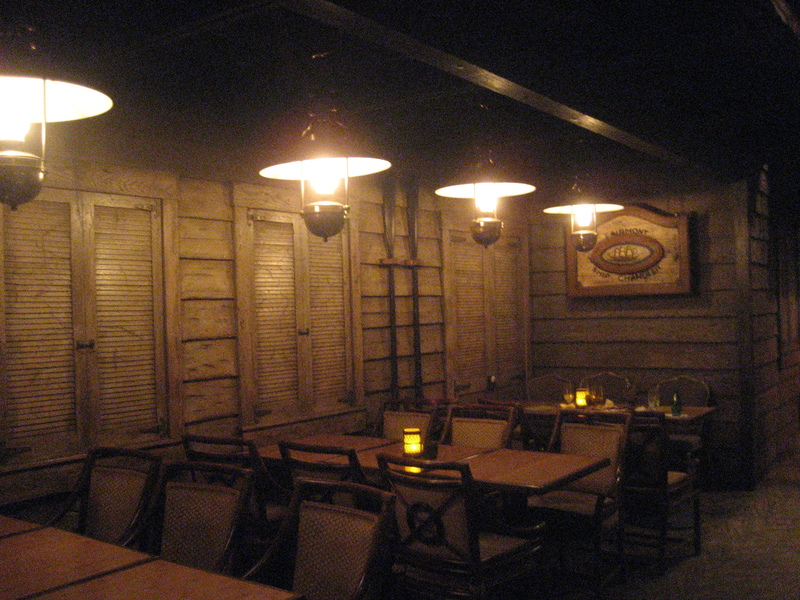 The setting and decor are unquestionably awesome, but the food is widely considered to be bad. Most folks advise to go during happy hour, but we weren’t able to be so choosy with our time of visit so we took our chances with dinner and I actually was pleasantly surprised. 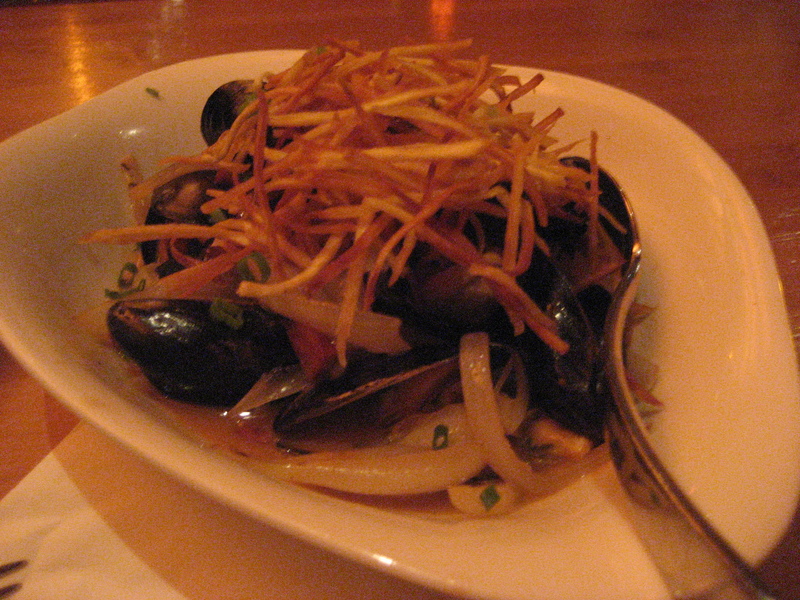 I ordered a mai tai, of course, but I wasn’t all that hungry so I got the mussels with Portuguese sausage, Maui onions and shoestring potatoes. The broth was made with Kona Longboard lager and it was so savory that I had to sop it up with the bread. 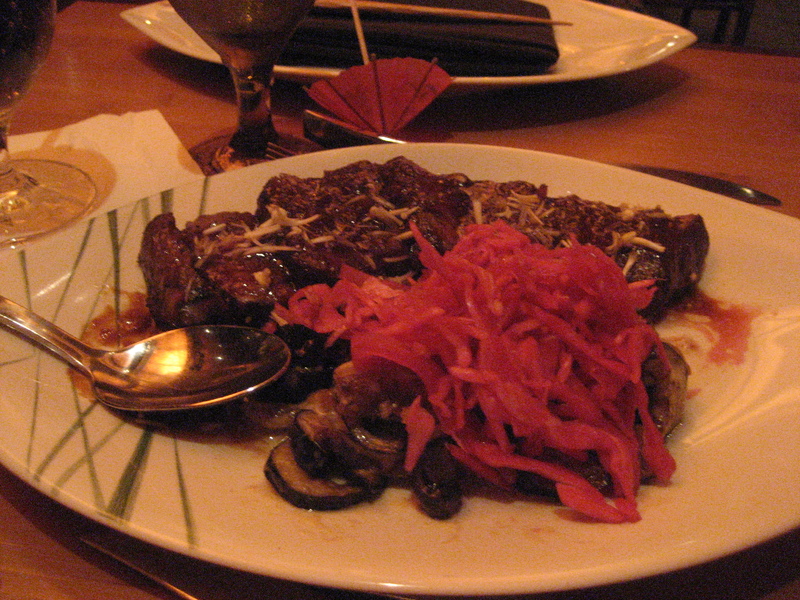 I also nabbed the miso eggplant from Mr. Baseball’s plate of flatiron steak, which was doused in a sort of sweet sauce that we enjoyed but not might be to everyone’s tastes. 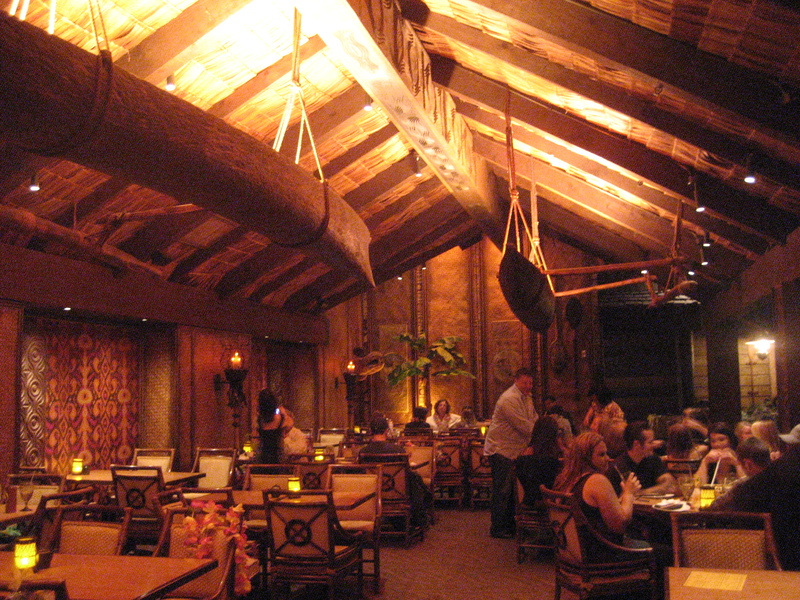 It will be such a shame if the hotel’s plans come to fruition because the Tonga Room is just on another level, definitely one of the top tiki spots I’ve been to thus far. 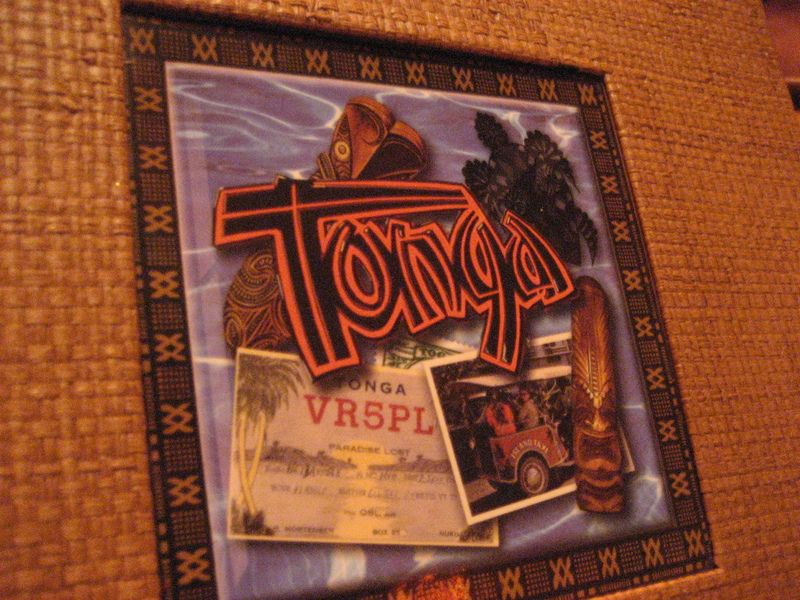 The Tonga Room fails utterly on their cocktail program. They need to redo their cocktails, and make them actually taste good, SF sets a high bar for cocktails and particularly Tiki cocktails with Smuggler’s Cove and Forbidden Island both having incredible cocktails. If the Tonga could get this straight they could be minting money like the Mai Kai. The food looks good might have to investigate that, we have only had cocktails. Yes, mermaids! I love that idea. It seems like the folks at Fairmont have had a change of heart. 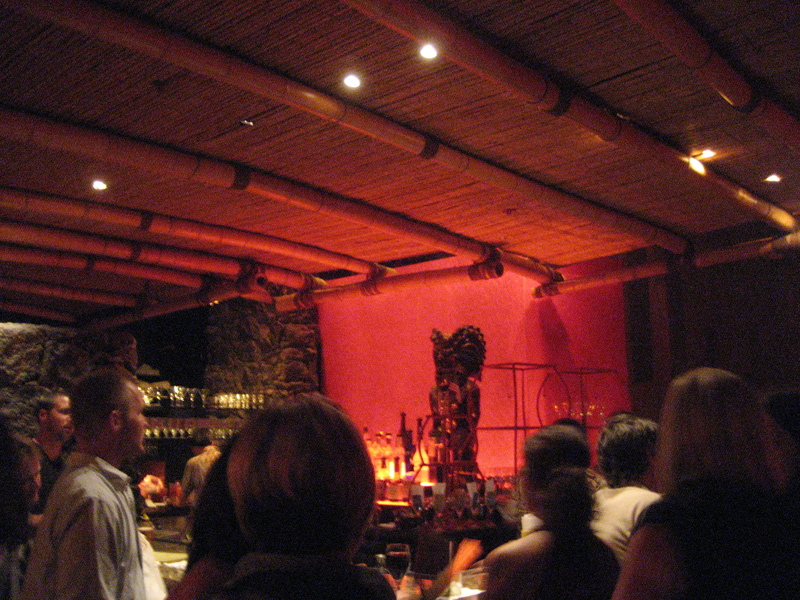 Tonga Room is more popular than ever! We aren’t getting back to San Fran this time, but thanks to your blog I’m all set for LA and Vegas, SUPER excited about the Golden Tiki!